A running fight is a situation where two or more weak groups compete for chances of escape to the center. In this variation of the Low Chinese Fuseki, White makes Black heavy by playing , then pincers with . Black counter-pincers with , after which a running fight starts with and . 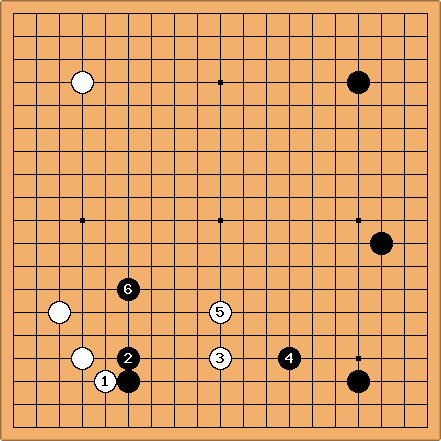 Both the black and the white group at the bottom lack a base and must therefore run into the center to survive.